I sat on this novel for a long time before being able to read it- and I wish I hadn’t deprived myself! 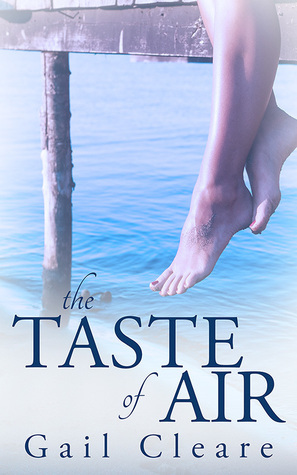 The title actually evokes the feelings I remember from the book- the escape by the ocean is so airy you can taste the breeze and the need for that air is also essential for those who are seeking it- a good title for the overall feel of the book. Nell’s family life is put on hold when she receives a phone call that her mother is in serious condition in a hospital a long way from the retirement home she thought her mother was living in. It starts a whole series of discoveries for Nell about her mother’s life and her own family history. When her sister Bridget is able to join her near the ocean at their mother’s beach house they really begin to realise that their mother spent a good portion of her life making her own happiness. I think it actually helps them both to realise that they must seize their own joy – even if Nell didn’t realise she was missing any and Bridget knew she needed more. I found the relationship between the sisters to be honest and thought provoking as well as their personal relationships with men and on the whole what we eventually know about their mother was heart-warming and heart-wrenching at the same time. The novel really explored family relationships as well as individuality.